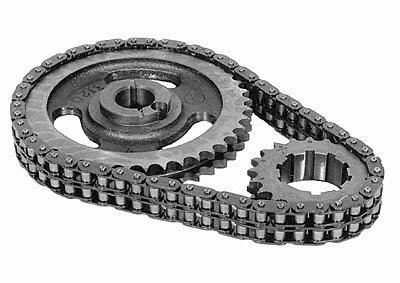 This is a full roller chain with 9-position multi-index crank sprocket designed for 351C/351M/400 engines. The crank sprocket has nine keyways for nine choices for cam timing and four extra advanced and retarded settings. It is made from cast iron and includes thrust plate.